Emergency parachute system with conveniently located handle, upper part of a fuselage working as a protective frame in an emergency situation, a solid frame of a canopy that is easily operated by a single move with one central lock and electronic unsecured canopy warning, embedded horizontal stabilizer that is durable and vibration resistant, electrical installation that meets conditions of MIL certification, flight data and warnings logging for a later diagnosis, those are the features that make our aircraft the safest one in its category. 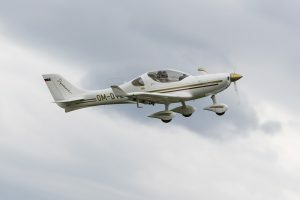 Range approximately 1800 km, our focus on advanced safety, user friendliness and comfort makes this aircraft the choice for travelling all over the Europe. That is why the aircraft is also equipped with an enormous luggage area capable of holding several cabin baggage meant for an airliner use. 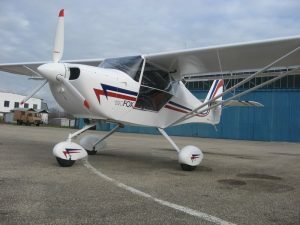 As the aircraft is so easy to operate and has so wide range of speed, it is great for a pilot training as well. 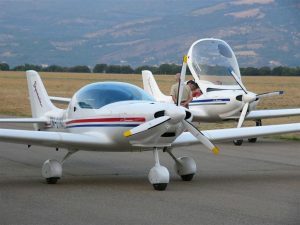 As a result of carbon airframe, precise lamination, innovative approach and exact engineering the aircraft really meets prescribed weight limits while maintaining high strength and a variety of equipment that is unique for this aircraft category.